1. A tomb is a house or vault for the dead. Originally tombs were filled with items that might be useful to the deceased in the afterlife. 2. 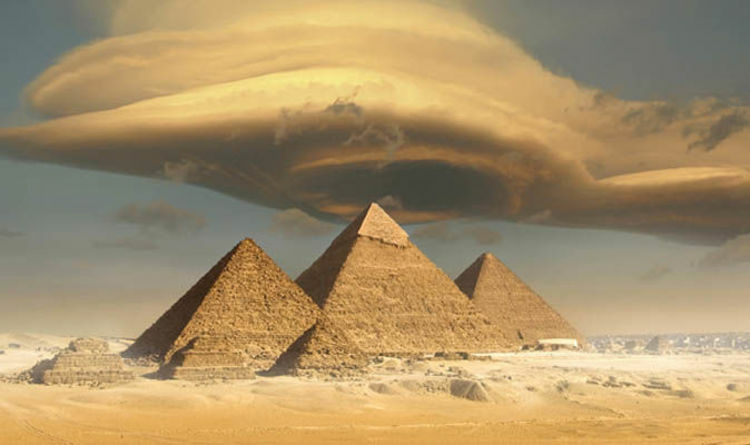 The Egyptian Pyramids were built as tombs for the pharaohs over 4,500 years ago. 3. According to the Greek historian Herodotus, it took 100,000 people to build the Great Pyramid of Cheops. Modern estimates put it at about 20,000. 4. A cenotaph, such as the one in Whitehall, is an empty tomb, built to honour someone who is unknown or buried elsewhere. 5. The Taj Mahal in India is another famous tomb, commissioned in 1632 on the orders of Shah Jahan to honour his favourite wife, Mumtaz Mahal. 6. The Terracotta Army, discovered in 1974 at the tomb of Qin Shi Huang Emperor of China, has around 8,000 life-like soldiers and about 650 horses. 7. The tomb was built in the third century BC and is thought to include an entire city. 8. It is said that mercury rivers were built for the emperor’s protection and high mercury levels have indeed prevented complete excavation. 9. The tomb area covers about 38 square miles. 10. The founder of Tombstone, Arizona was told he’d find his tombstone there. Hence the name.